In my last post, I examined Amos Yong’s question about reading Romans 10:10-13 in light of Romans 2:12-16. I made it clear that I think Romans 10:10-13 should be read in light of Romans 2:12-16: that is, Romans 2:12-16 discusses the laws of nature and Moses, neither of which can man follow to the smallest detail. Instead, the law brings forth knowledge of sin (Rom. 3:20). As a result, only the righteousness of God by faith in Jesus Christ can declare man righteous. Romans 2:12-16, in other words, show us our need for the law of faith, found in Romans 10. My goal in this post is to continue to affirm the message that the gospel is necessary for every individual, should they desire to be saved and experience eternal life. However, I will maintain my message while diving here into more of Dr. Yong’s underlying implicit assumptions. “I am unsure that the theological position to be developed in this work is best categorized under the label ‘inclusivism’” (“Beyond the Impasse,” page 27). 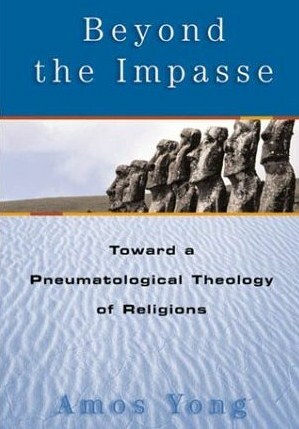 “I certainly am not an exclusivist if one means by this not only that salvation is dependent in an ontological sense on the person and work of Christ but also that one has to cognitively recognize that dependence” (“Beyond the Impasse,” 27). Yong argues that one does not have to be consciously aware of his or her dependence on Christ in order to be saved; but this is refuted by the biblical text itself. After all, does not one have to “confess with [their] mouth the Lord Jesus, and believe in [their] heart that God raised Jesus from the dead” in order to be saved (Romans 10:9)? Does not this confession require cognizance, awareness of one’s need for Christ? Was Jesus not concerned with convicting the world and bringing those in the world to acknowledge their sin? After all, what about these words from John? “If I had not come and spoken to them, they would have no sin, but now they have no excuse for their sin...if I had not done among them the works which no one else did, they would have no sin; but now they have seen and also hated both Me and My Father” (John 15:22, 24, New King James Version). Jesus comes and speaks truth, and does the miracles He does among them so that they would bear responsibility for thei rejection of the truth. It is because Christ did these things that the world is now judged. What about Jesus’ words regarding the Spirit? “And when He has come, He will convict the world of sin, and of righteousness, and of judgment; of sin, because they do not believe in Me; of righteousness, because I go to My Father and you see Me no more; of judgment, because the ruler of this world is judged” (John 16:8-11, NKJV). According to the Merriam-Webster Dictionary Online, the verb convict can mean “to find or prove to be guilty.” The Spirit, in other words, would prove to men and women their blameworthiness when He came to earth. For someone to admit their guilt, they must be aware of it. Someone who is not aware of their guilt is ignorant (or consciously unaware). So when Yong says that he is alright with the idea of someone not being aware of their dependence on Christ, he is saying that someone could be ignorant of Christ’s identity and be saved. In other words, someone of this sort would not have to perform Romans 10:9 or even believe at all. Neither conscious confession, nor evident belief would be required for someone to be saved...in Yong’s inclusivist theology. However, Yong’s theory of “unconscious” Christianity is based upon his view of the Gospel. He believes that there are many who never get to hear the Gospel of Christ; thus, how can one be made responsible for a Gospel he or she never received? And yet, the Scriptures themselves seem to argue that man is aware of the truth but rebels against it: In Romans 1, Paul writes that men “suppress the truth in unrighteousness” (1:18) because God has revealed His “invisible attributes” to mankind, namely “His eternal power and Godhead” (Rom. 1:18-20). By “suppressing the truth,” mankind demonstrates his knowledge of it. He is not ignorant of the truth...he just simply wills to not obey it. Such is the depravity of the human heart, mind, will, and being. “It must be possible for those who have either never heard or never understood the gospel to be saved since God desires that none should perish and has made salvation available to all persons in his own mysterious ways...while the religions may or may not be mediators of salvation, the key is not the religious tradition as such but whether or not the individual responds to God (or whatever the person considers to be religiously ultimate) according to the light that the individual has received (cf. Rom. 2:12-16)” (“Beyond the Impasse,” page 24). The problem with the inclusivist claim is that if the individual only has to respond to “whatever the person considers to be religiously ultimate,” then one can worship Buddha and still be deemed a Christian. In other words, “unconscious” Christians in Amos Yong’s theology are the “anonymous” Christians of Karl Rahner’s theology. I once e-mailed Yong after I picked up a book of his on the Holy Spirit. I believe he claims to be Pentecostal. It seemed to me, back then, that he didn't hold to inerrancy and nearly all Pentecostals hold to inerrancy. He never wrote me back. Now I see why. "I am certainly not arguing for a view of the economy of the Spirit as completely sovereign or unrelated to that of the Son. I am, however, affirming that the turn to pneumatology may allow for more neutral categories to emerge when attempting to discern the presence and activity of the Spirit in other traditions" (Yong, "Beyond the Impasse," page 186). My question to Yong is, however, what difference does it make to have neutral categories? And how can the Christian become "neutral" towards other faiths when the Scriptures themselves teach Christ as the only way to salvation (John 14:6)? To make "neutral categories" by which to equally value all religions is nothing short of pluralism, despite Inclusivist claims that their theology is different from pluralism. Thanks Roy for responding. Stay tuned...there is more to discuss regarding Amos Yong and inclusivism.